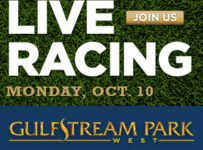 Horse Racing FLA is live today under sunny skies at Gulfstream Park. 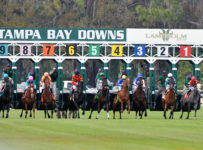 It feels like it could by an April meet, with temperatures near 80. Hear us on WDBF Radio at 4:00 p.m. ET today. 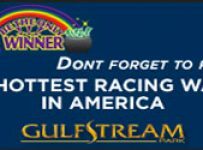 WDBF is an internet-only radio station who’s partnering with us to cover and promote thoroughbred horse racing. Surf over to www.wdbfradio.com for their live broadcast.